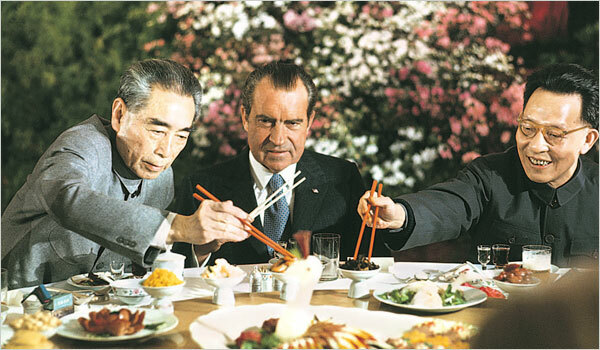 Trumps war on China reminds me of my teenage years when Richard Nixon and Chou (Zhou) Enlai were daily in the news, with Nixon trying to pry open China to get a dollar from each of the billion people through trade. All this reminds me that Jamaican young people were divided then among “conscious youth” (listened to reggae, did not wear bell bottom pants) and “soul youth” (wore big Afros, listened to funk and R&B, wore bell bottoms and platform shoes). Today they’d say we in the “conscious youth” camp were “woke”. The top end of the conscious youth often got to the peak: “sight the light” (pro Africa and Rastafari) and when you did immerse fully as with dreadlocks, you’d have “sight-up”. As a conscious youth, going to meetings of the conscious mold, led by those of the Walter Rodney ilk, Mad magazine was still one of my favourite sources of thought. And it’s there I got some of the deepest insights on Nixon and Chou. I remember my friend and classmate Ronnie Brown telling us of a school colleague who had lost it (they’d say he smoked weed–I don’t know) and when Ronnie met him on the street he told Ronnie, “I sight the light but the light goes on and off”. I guess between reading ‘The Autobiography of Malcolm X’ and Mad, my light was blinking. Now the leaders of the world are stark raving Ma… unblinking, blind.